سواءً كنت مسافراً بغرض السياحة أو العمل, Yarra Valley Grand Hotel هو خيار عظيم للإقامة خلال زيارتك يارا فالى. يمكن من هنا للضيوف الاستمتاع بسهولة الوصول إلى كل ما تقدمه هذه المدينة النابضة بالحياة. يضفي محيط الفندق اللطيف وقربه من Terra Warra Museum of Art سحراً خاصاً على هذا الفندق. إن Yarra Valley Grand Hotel حريص على توفير الراحة للنزلاء، فلا يوفر الموظفون جهداً في تقديم أفضل الخدمات وضمان حسن الاستقبال. يمكن الاستمتاع بمجموعة من الخدمات على أعلى المستويات في الفندق كمثل واي فاي مجاني في جميع الغرف, خدمة التنظيف يوميًا, تخزين الأمتعة, صف السيارات, مطعم. استمتع بوسائل الراحة الراقية في الغرف أثناء إقامتك هنا. بعض الغرف تتضمن تلفزيون بشاشة مسطحة, مسبح خاص, اتصال لاسلكي بشبكة الإنترنت (مجاني), غرف لغير المدخنين, مكيف هواء لمساعدتك على استعادة طاقتك بعد يوم طويل. يقدم الفندق مجموعة واسعة من وسائل الراحة المتنوعة، كمثل: حمام سباحة خارجي, ملعب للأطفال, بلياردو, حديقة. اكتشف مزيجاً ساحراً من الخدمة الاحترافية والخيارات الواسعة من وسائل الراحة والمتعة في Yarra Valley Grand Hotel. الضيوف الذين سيصلون خارج هذا التوقيت يطلب منهم التواصل مع العقار مباشرة قبل الوصول لترتيب هذا الأمر. We were very happy with the room and venue. The only downside was the fact that we have a small baby and had to carry the pram up 2 flights of stairs. Would have been much better if there was a lift or easier access for prams/wheelchairs. My partner and myself found the accomodation good. However we had a lot of difficulty getting my elderly mother up and down the stairs. The hotel needs a lift for the elderly and those that have difficulty with stairs. Thank you for taking my perfume allergy seriously and cleaning and airing the room without the use of perfumed products. We were pleasantly surprised with our two nights at the Grand. The name says it all. A gorgeous room with en suite opening to the front terrace. We just loved the whole grand atmosphere, furnishings are beautiful. Our bed was huge and was very comfortable including the pillows. Great dining room and enjoyed the included breakfast and dinner there. Plenty of options in the Hotel to sit and have a chat & drink or a pizza outside. Can't wait to get back to Yarra Valley for a stay at the Grand. Clean, comfortable and spacious rooms. Friendly staff. The rooms are above the pub so if you're looking for somewhere quite this isn't for you. Very basic breakfast, don't expect bacon and eggs and you won't be disappointed. Great location if you want to have a few drinks. The room was extremely old, used soap and wrapper, & shampoo container in the bathroom- clearly not cleaned. The key for the original keyed lock could have been copied a hundred times and anyone enter before or after me. No security in vast rabbit-like warren of rooms, stairs and floors. Loud air conditioning unit outside my room (1st floor, room 5) was too loud to sleep. Continental breakfast was good adn breakfast room was lovely. Yarra Glen is a very small, and the Grand Hotel is in the middle of it. If you stay here, be aware that it is at least 5 mins drive from the nearest wineries/resorts. The pub serves good food, and there is live music sometimes (not when we were staying there). Not a lot of other options around the area for this kind of money. The hotel itself is very nice, old 1800s style with balcony downstairs and upstairs and a very big alfresco dining area at the back. Cleanliness can be improved: our non slip bath mat wasn't clean, it had blood on it. During breakfast I saw a cockroach crawled out of the bread tray. The bed was clean and comfy, but still very difficult to get some sleep as the band was playing till quite late and the set up of the hotel didn't cancel the noise even when you close your door. Yes they provided earplugs, but still difficult to sleep. Beautiful cosy room with comfy bed. The only negative was that the bathroom was very small! Conveniently located as shops are along the same street and across. Great food at the restaurant. 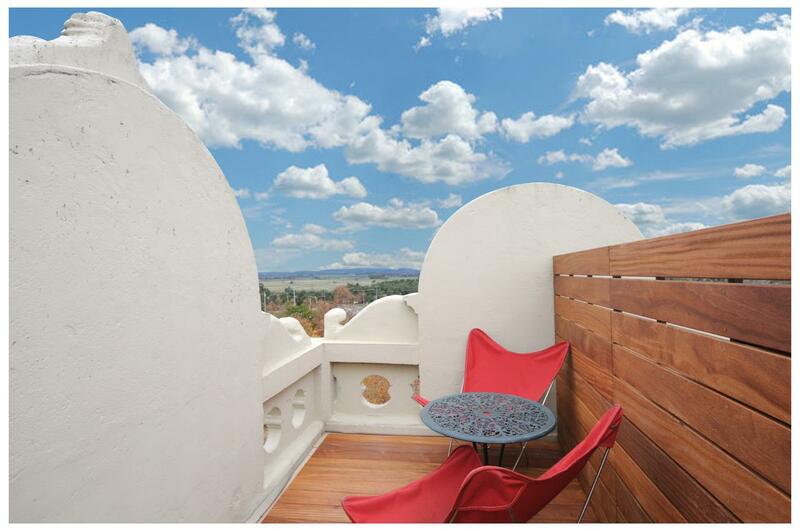 Close to the surrounding wineries and the farmer's market which is on every 3rd Sunday monthly. Staff is really friendly, who gave us alot of help. Food below the hotel was delicious! One of the most delicious meal we had ! We are also located in the small town where there's other shops around, carpark is just infront of the hotel. Our room was also amazingly beautiful. Our bed was very uncomfortable - I would suggest the springs were gone on one side. There was no power point near the fridge etc to enable us to boil the kettle there. I put it on the floor. Whilst the exhaust fan in the bathroom worked it made a funny noise When it was turned on each time. We were placed in the Tower Suite, which is on four levels, including the outdoor observation deck. Despite the unique quirkiness of the tower, at 71 years of age I found the steep and narrow stairs between the floors to be a bit daunting, so would have preferred my accommodation to be all on the one level. Thus, I suggest that the Tower Suite is better suited to younger guests. We stayed at the Yarra Valley Grand Hotel for one night and found its location easily and central to almost everything in Yarra. It was also near to eateries and very convenient. We checked in with little hassle though found it strange there was no phone in the room. Bathroom was grand and almost as big as the main room. However, we stayed at room #6 and just above the pub in the hotel. There was alot of music in the mid afternoon till evening and we were slightly worried it would disrupt our sleep. Thank goodness, music stopped at 1030pm. Overall, the hotel was grand and steep in history and we enjoyed our stay. Breakfast was simple but sufficient. We would welcome another stay there again. Great stay in a historic hotel, made our trip a bit more memorable. Rooms were comfy with a great verandah. Restaurant downstairs had great food and bonus for us had an outdoor and indoor kids play area. Breakfast included was fresh and served in the lovely dining room. Would go back!! We've been here twice. A great break from Melbourne as part of a weekend away. Highly recommended. Relaxed atmosphere with lovely classic glimpses. Laid back staff and good breakfast. Parking tight during the day but fine overnight. Big clean bathroom. The hotel location was awesome, we loved the decor and the people there were lovely. Everyone was wonderful except for one hiccup. The bed was horrendous... the mattress felt like it really should have been replaced. It was only a single night and we were very tired after attending a wedding. It wasn't a comfortable bed but we were able to fall asleep thankfully. 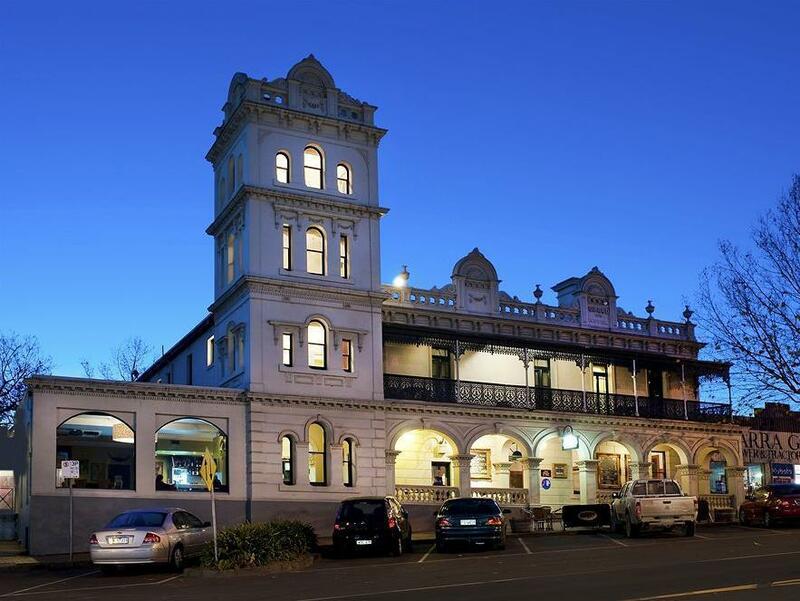 Grand old hotel, eclectic set-up but overall great base to enjoy the Yarra Valley. Morphs from a quiet country pub, to family bistro to party venue on a Saturday. Rooms tidy and clean, bathroom good, staff very friendly and welcoming from front desk to bistro. Great meal enjoyed - just might not stay on a Saturday night next time. Staff, room was warm enough, location. One night stop over stay at hotel. Hotel staff is very friendly. But the hotel is very very old.